Are you someone who's constantly intrigued by makeup? I know I am! Apart from spending hours on YouTube watching makeup tutorials, I also spend a lot of time looking at makeup that celebrities are doing. It's always trendy, fresh and so inspiring. Ever wonder who's responsible for making your favourite celebrity look drop-dead-gorgeous all the time? Sure, it's probably because they take such good care of their body and skin. But all of those off-screen photographs aren't always sans makeup. The secret behind that flawless, poreless skin is a makeup artist and a bloody good one! If you enjoy watching makeup tutorials and finding out what the stars use and how to get dolled up, following their makeup artist is something that might really interest and inspire you! Whenever I find myself stuck in a makeup rut, I head over to Instagram and begin some harmless stalking. Whether you're looking for bridal makeup inspiration, smokey eye looks or just wondering what kind of makeup the stars wore for an event. 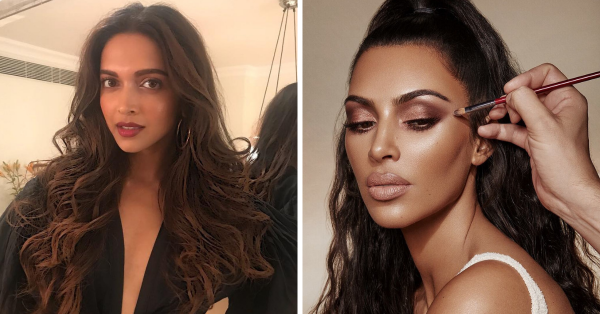 These are some of the best Bollywood and Hollywood celebrity makeup artists to follow on Instagram for daily inspiration!